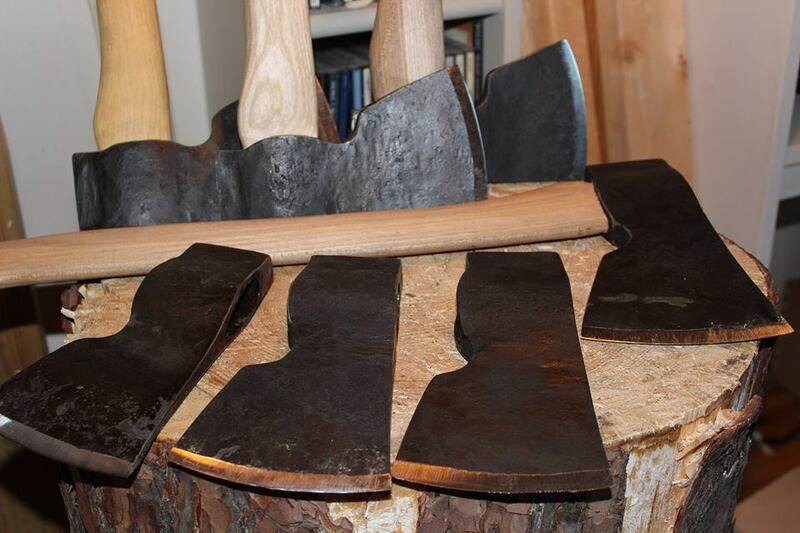 Earlier I wrote about the history of the use of birch bark. 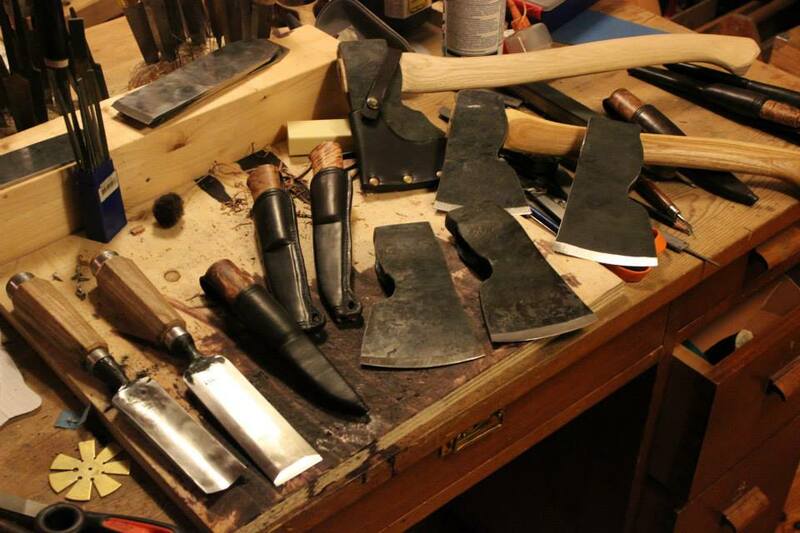 As I promised, here is part two – a post about how to make a birch bark sheath. 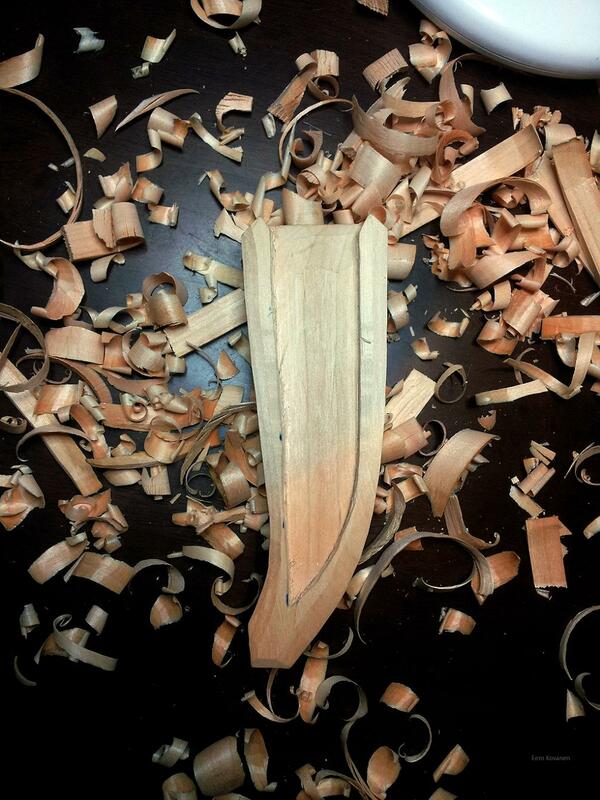 In this tutorial I’ll show how to make a sheath with shoulders and a narrowing tip. The model for this sheath can be found in the national museum of Finland. There are also models that don’t have shoulders. 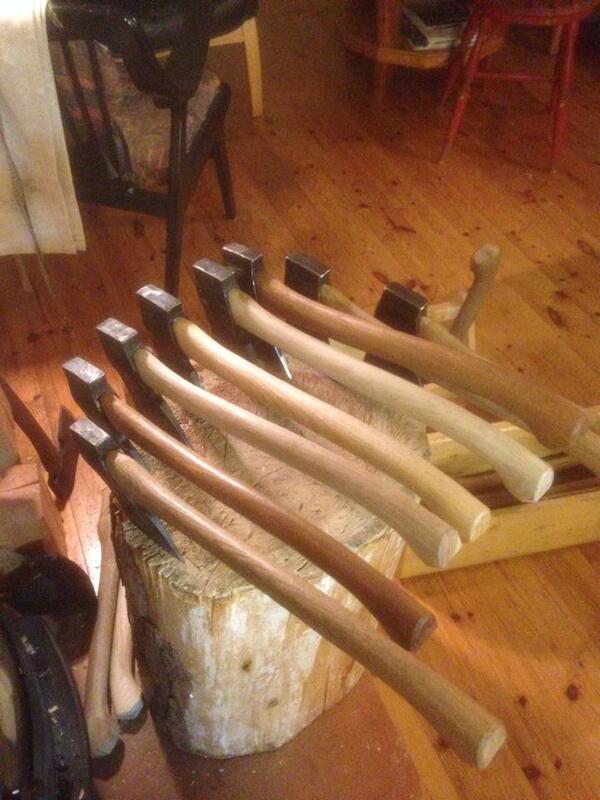 First you must harvest/collect birch bark. As I wrote in the previous post, the right time to do that is at midsummer. 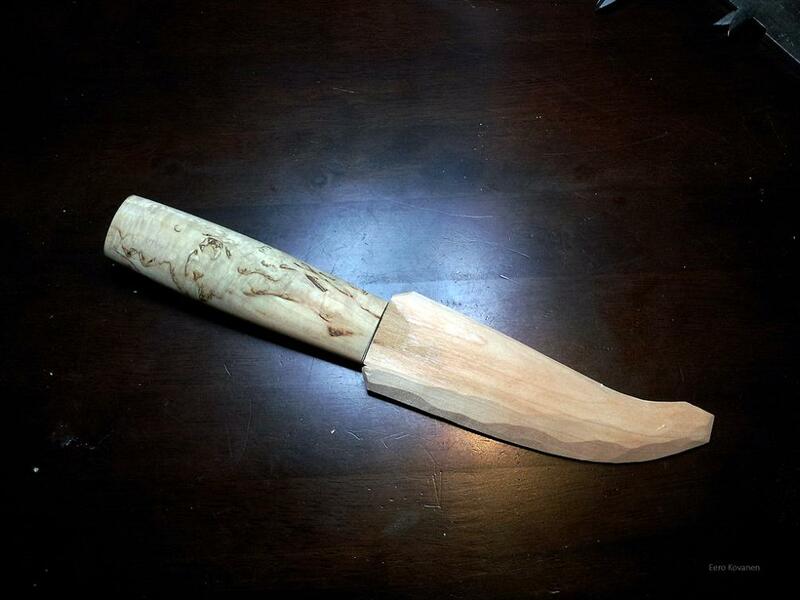 You can do the sheath from birch bark strip or plate. 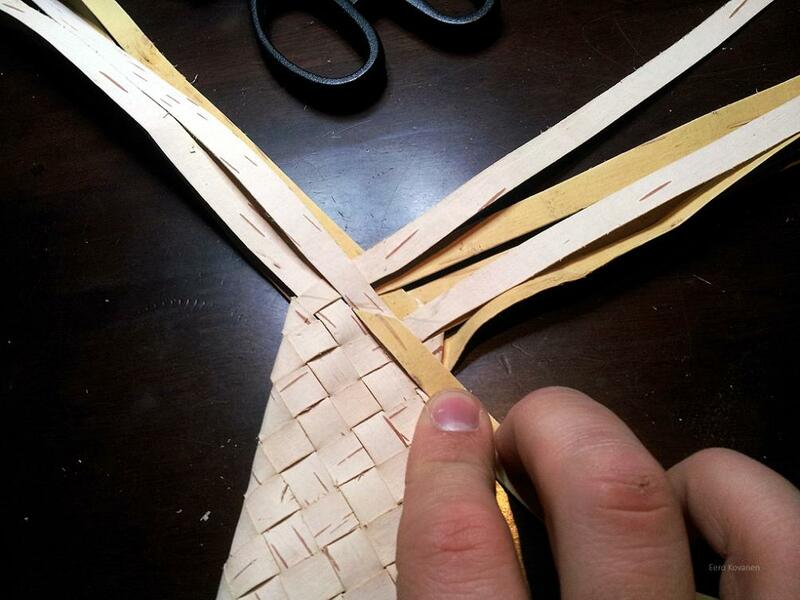 If the strips for weaving are made from plate, you must glue two strips together to get the strip long enough to weave. 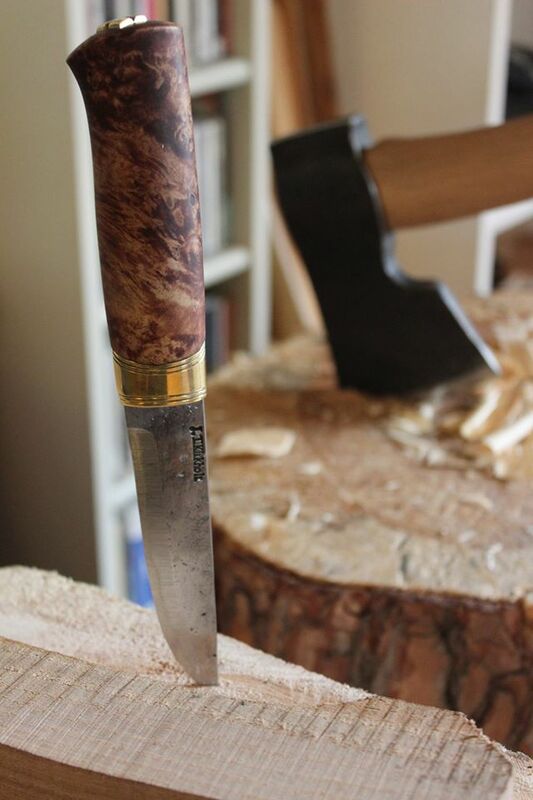 The connection point is good to make to the narrow end, on that point where we start to make the sheath. 1. Birch bark as strip and plate. 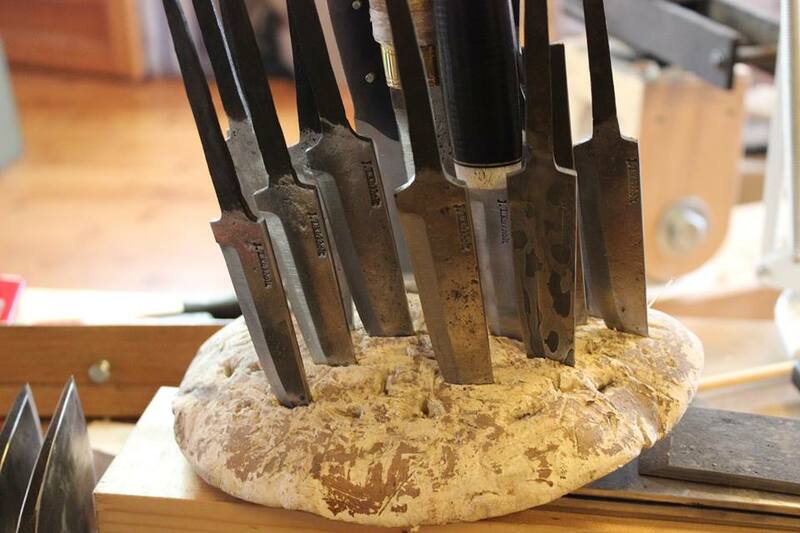 Next thing to do is carve and give shape to sheath liner. 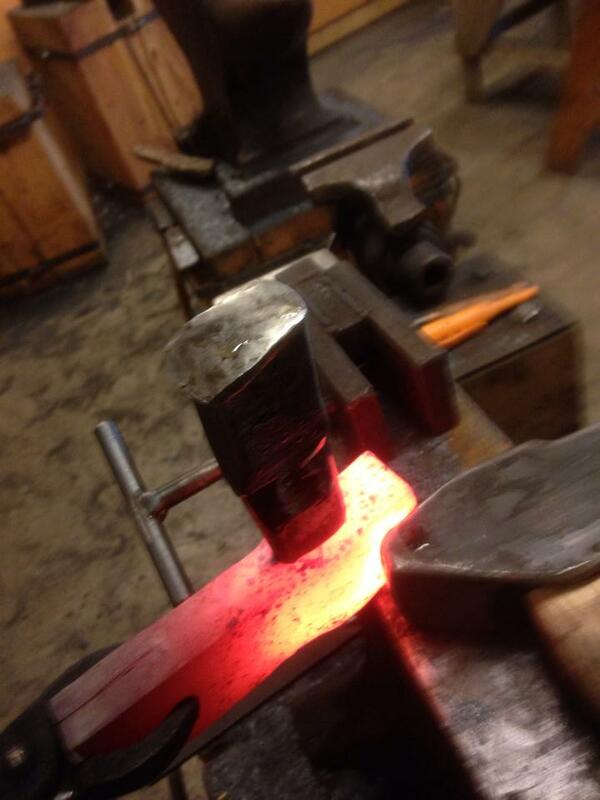 It must be done before we can start making the sheath, because it gives the shape for the sheath. 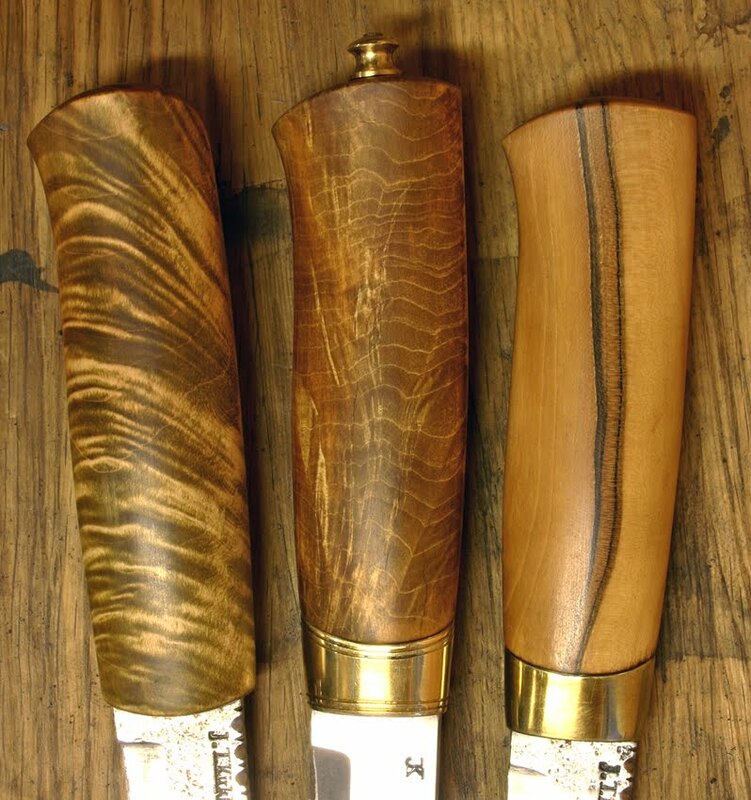 You can use almost any wood you want, traditionally the sheath liner is made out of alder. 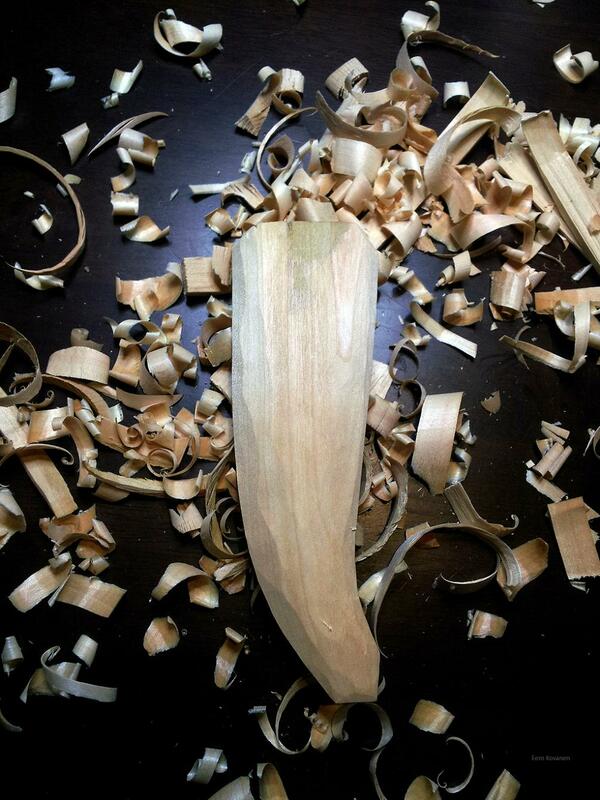 The first step is to carve the place for the blade, then form the liner so that it narrows to the tip. 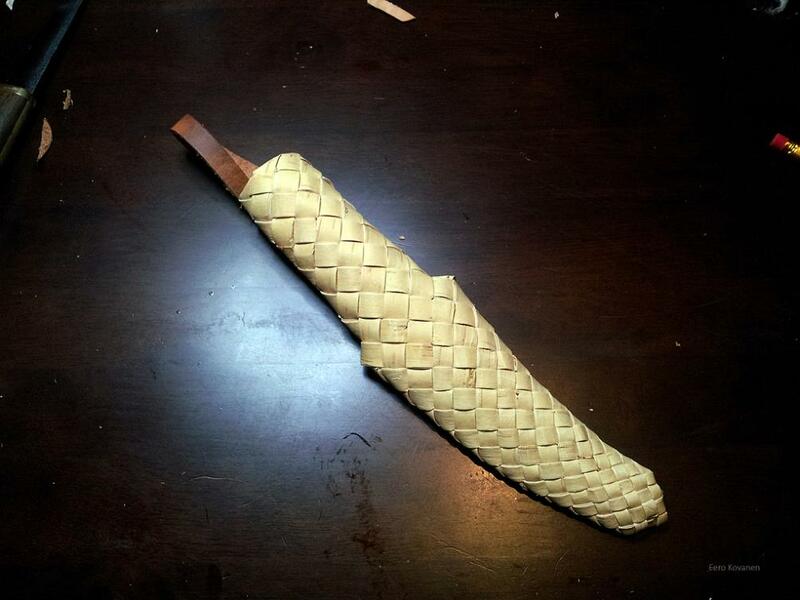 The tip is shaped in 90 degree angle, so it fits perfectly with the weave. 2. 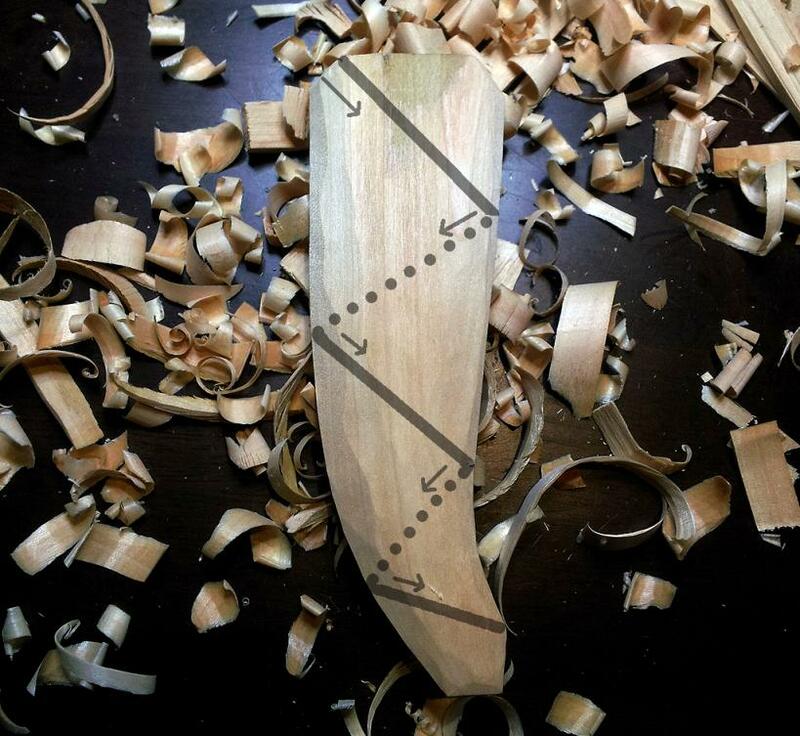 Carve the place for the blade and draw shape lines. 3. 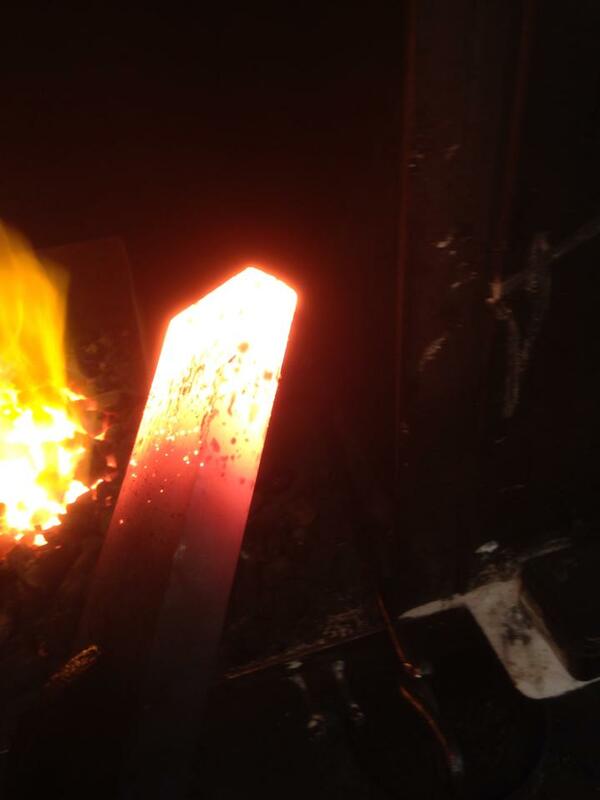 Sheath liner shaped to the desired sheath shape. 4. Sheath liner from the back side. 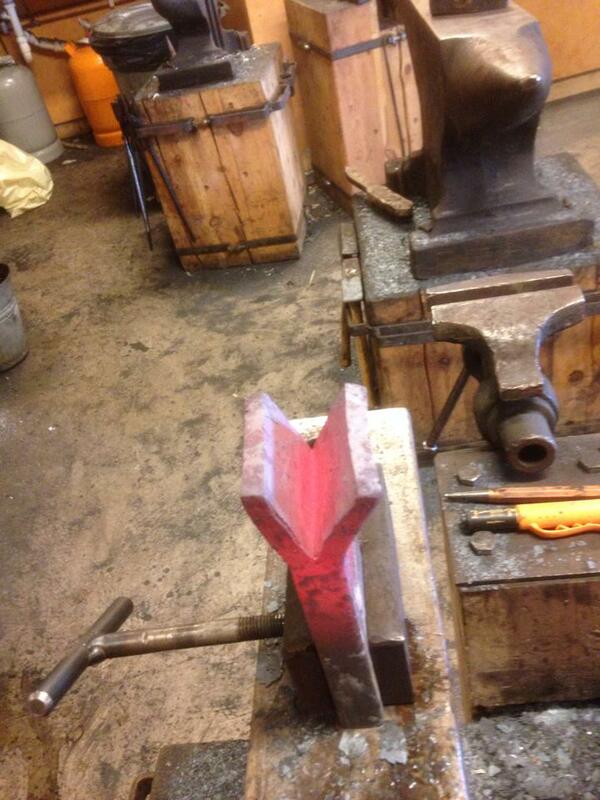 Tip is shaped in 90 degree angle. 5. The profile of the sheath liner. 6. 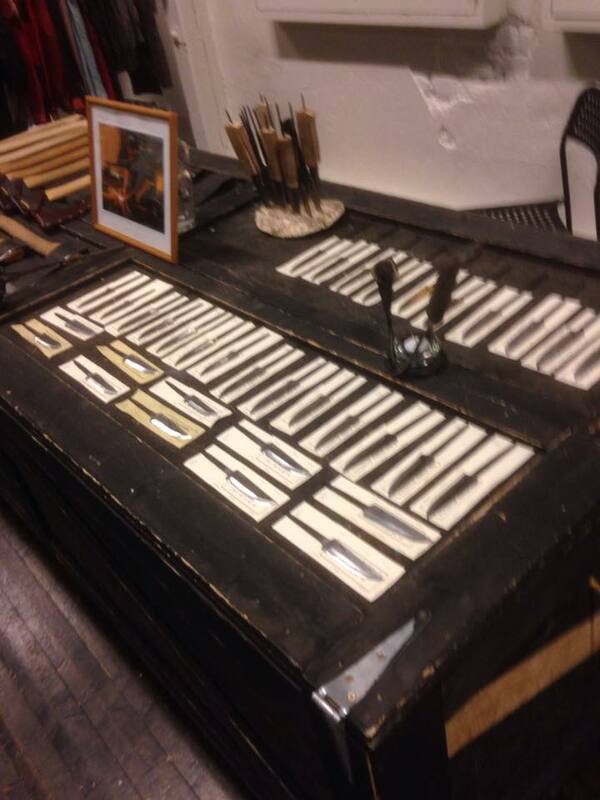 Check that the lines match, puukko and sheath liner should be visually in balance. For example, the circle is 75mm. Divide 75 mm with six and you get result 12,5 mm ( (75 mm)/6 = 12,5mm). So the length of the diagonal (d) is 12,5 mm. We need to know the width (D) so divide the diagonal 12,5 mm with √2 and you get result 8,83 mm ( (12,5 mm)/( √2) = 8,83 mm). 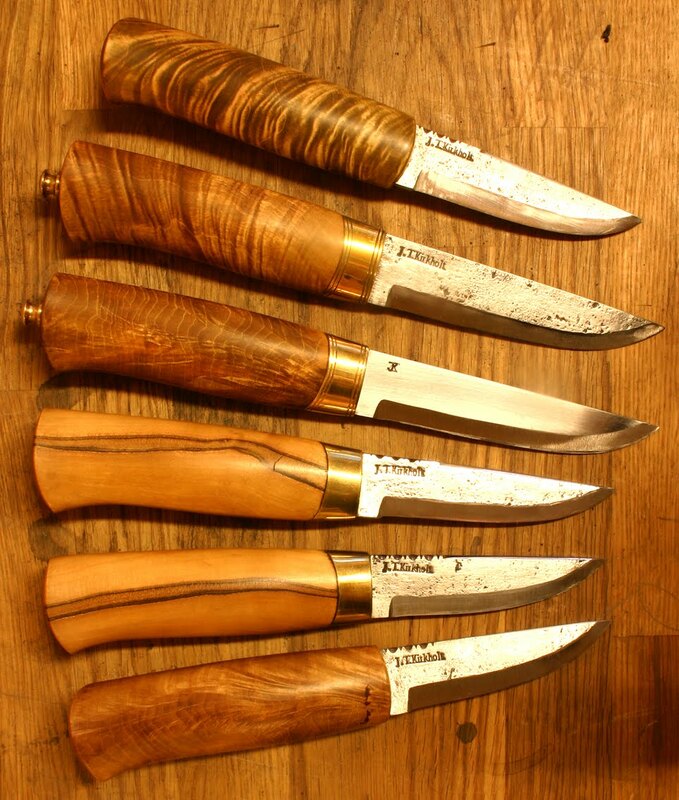 8,83 mm is the width (D) of one stripe when the circle of the handle is 75 mm and the edge of the sheath is done with 6 strip pairs. 7. Measuring the circle of the handle. 8. Measure the length of the circle. 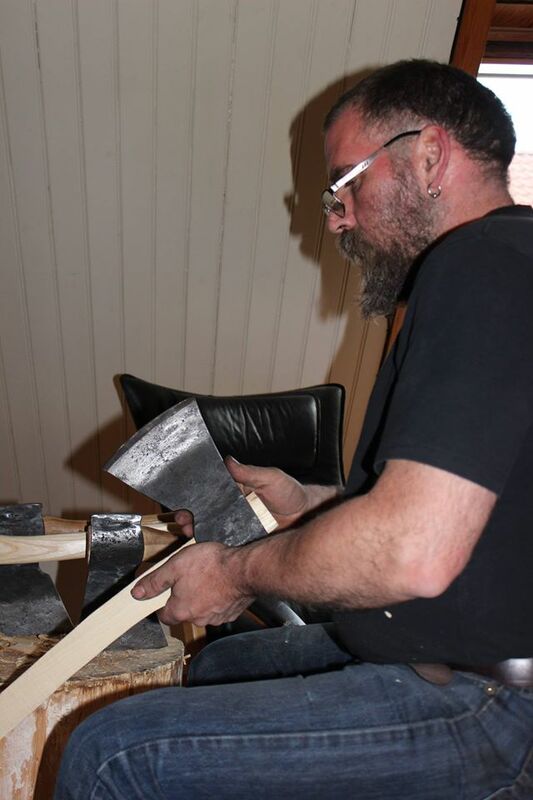 Then cut the strips, in this sheath I used 8 pieces 1,2 meter long strips (we’ll need 8 pieces to make a sheath with shoulders, even the edge of the sheath is done with 6 strips). 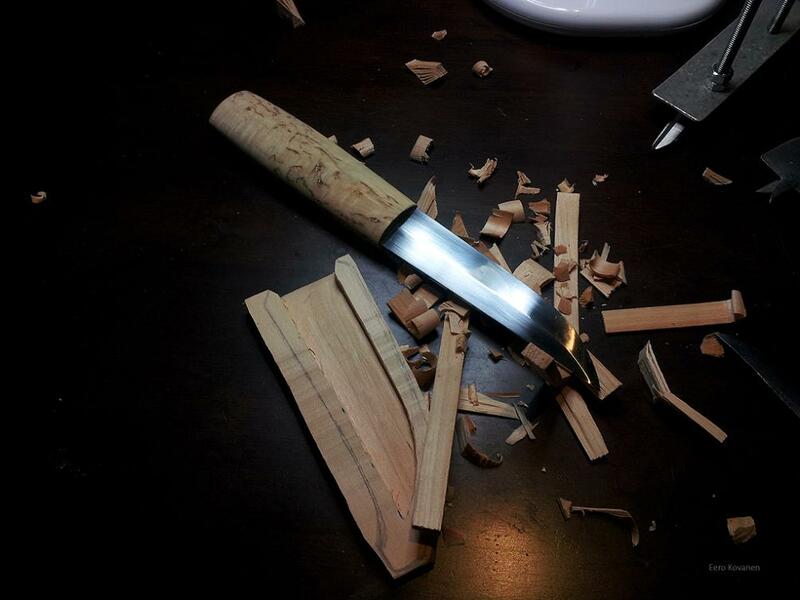 For a normal sized puukko this is long enough to get started. After cutting the strips, split them. 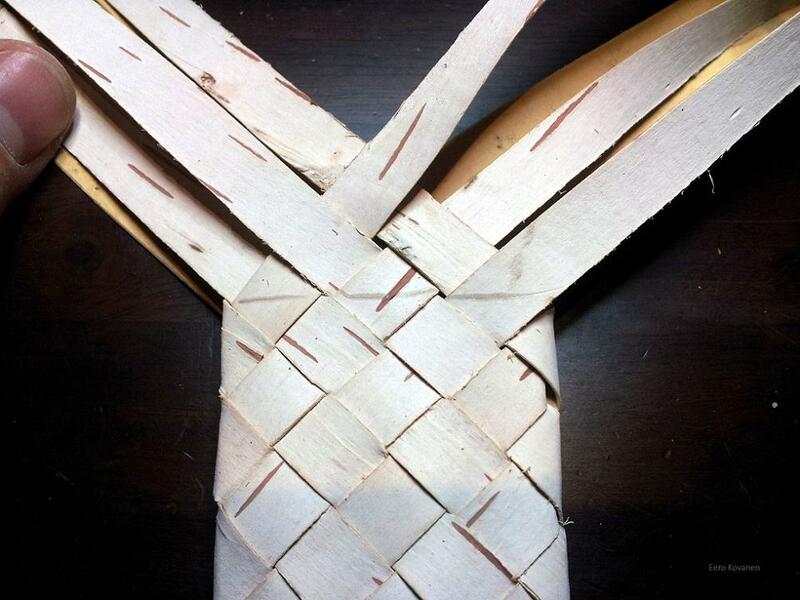 By splitting the birch bark gets thinner and becomes easier to weave. 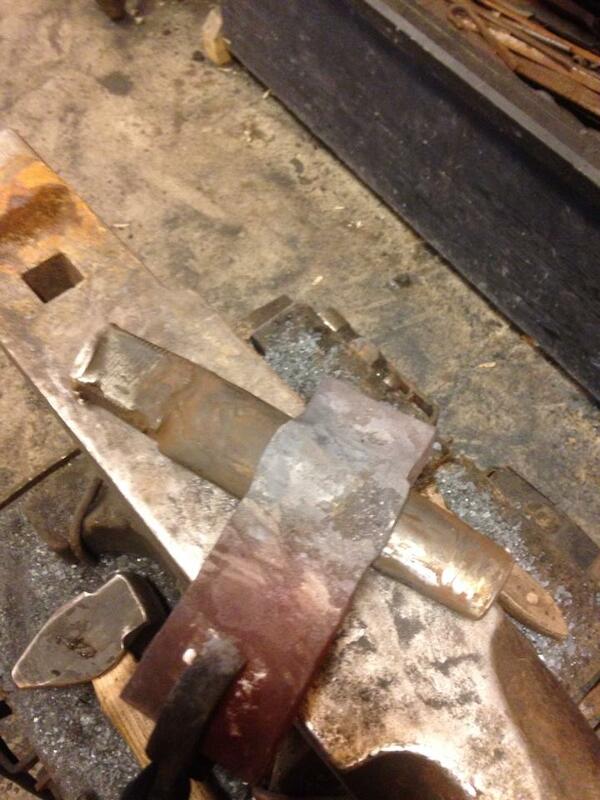 Splitting is done by cutting the end of the strip and dividing the strip in half. 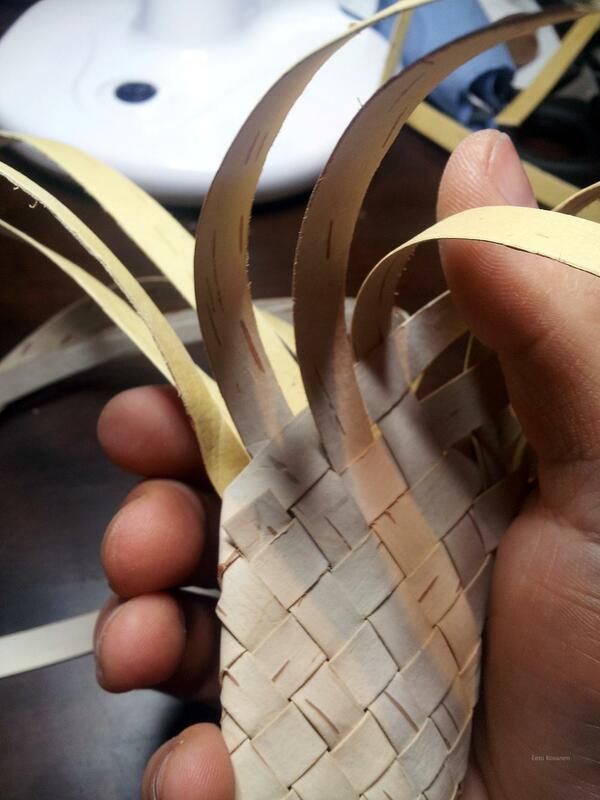 Final step before weaving is to narrow the strips. 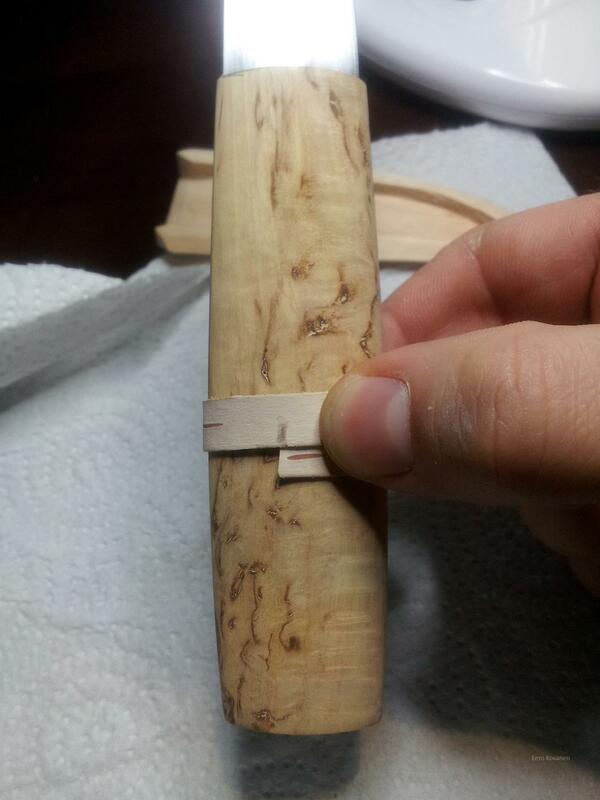 That is the thing that makes the tip of the sheath narrower. 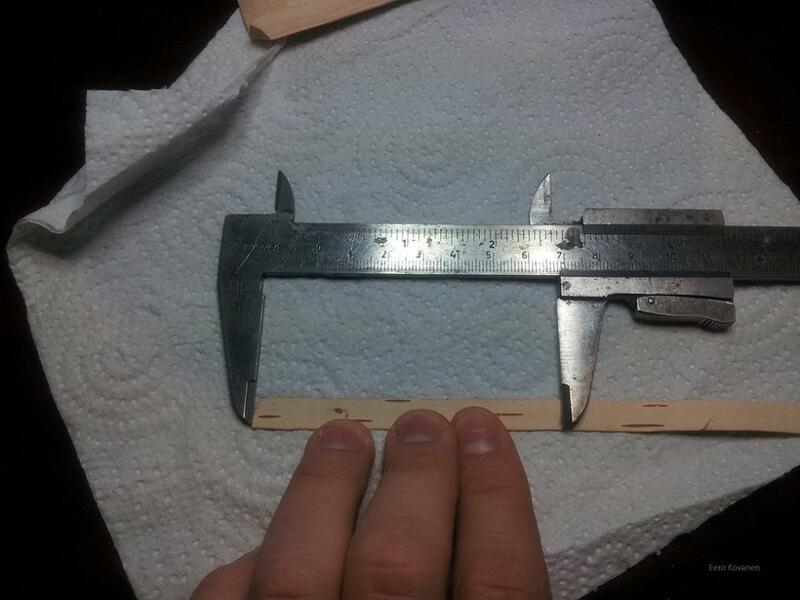 The length of the sheath liner must be measured as showed in image below. 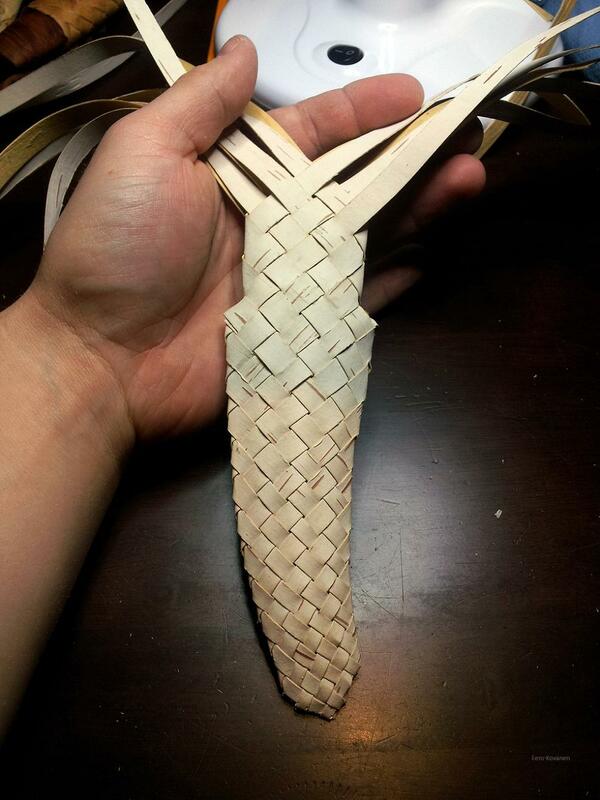 Follow the imagined weave with the measuring strip. 9. How to measure the length of the sheath liner, in this tutorial it is 17 cm. The strip must be narrowed according to the length of the sheath liner. The total length of the narrowed strip is two times the length of the sheath liner. Note that the thinnest point is in the middle. 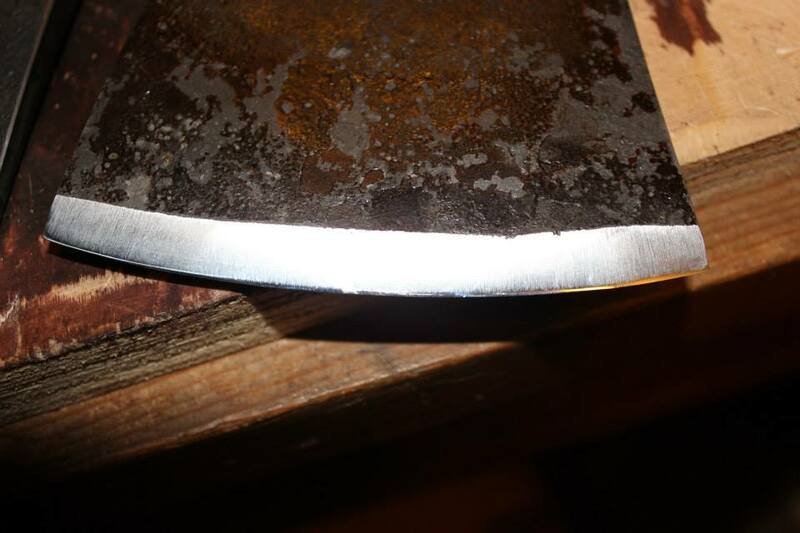 In this sheath the length of the sheath liner is 17cm and I had to narrow the strip from 34cm length. The narrowest point of the strip was in the middle, at 17cm. 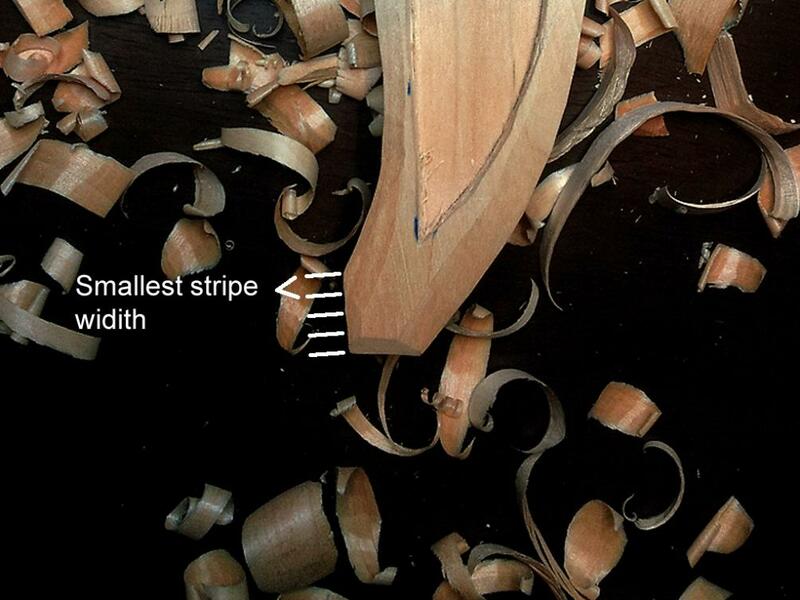 The narrowest point shouldn’t be less than 3 mm, if the strip is narrower, it is difficult to weave. In image 10 is demonstrated the narrowing. 10. How to narrow the strip. Dashed line indicates cutting line. The width of the narrowest point is calculated through measuring the side of the 90 degree angle which is in the tip of the sheath liner and this measure is divided by 4.The principle of measuring narrowest point is showed in image 11. 11. Side of the sheath liner’s tip is split with 4 to get the smaller width for the strip. 12. Strips cut and ready for weaving. In next instruction numbers in parenthesis are steps in image 13. Grid is made on both sides at the same time. 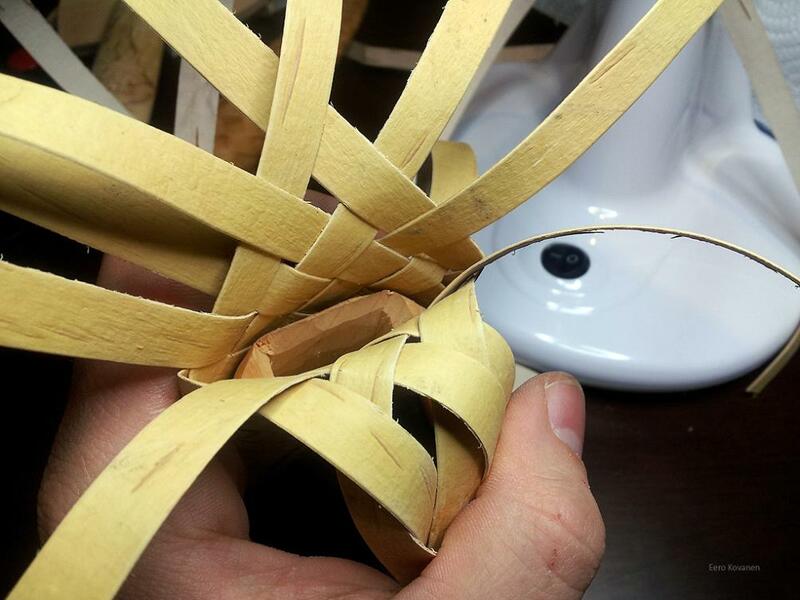 Weaving starts by bending the strips at the narrowest point so that the inside (side that has been against the birch) of the birch bark meet (1). 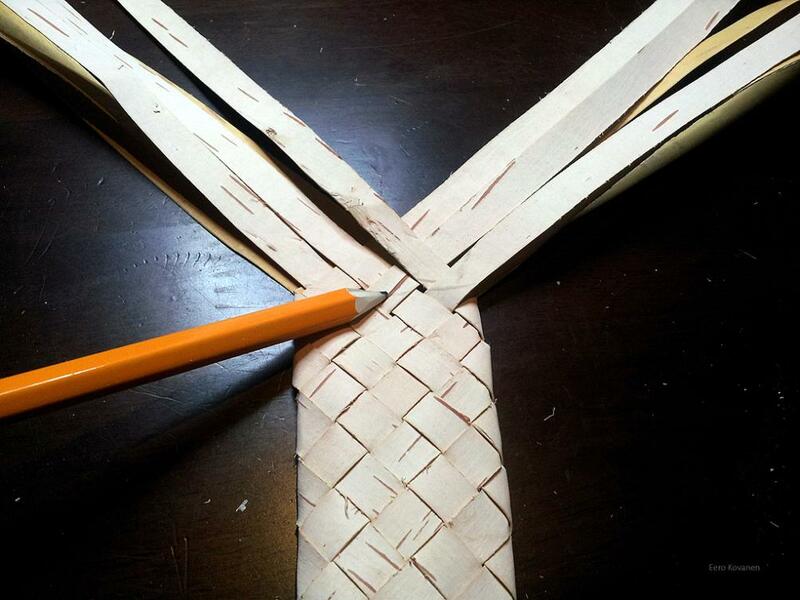 Weaving starts at the end of the sheath by crossing two strips (2). Add one strip on the other side so that it goes over and under the crossing strip (3). Then add second strip on the other side as in step 4. Now there are two strips on both sides (5). Tighten the grid. Weave the third strip on the right side as in step 6. Repeat on the left side (7). Weave the final two strips first the one on the right side and the other on the left side (8,9). Try to keep the grid as tight as possible. Now there is a grid on the both sides. As a result we’ll have an open pocket, as showed in image 14. 13. Step by step how to make the grid. Next thing is to turn the side. Numbers in next guide indicate steps in image 15. 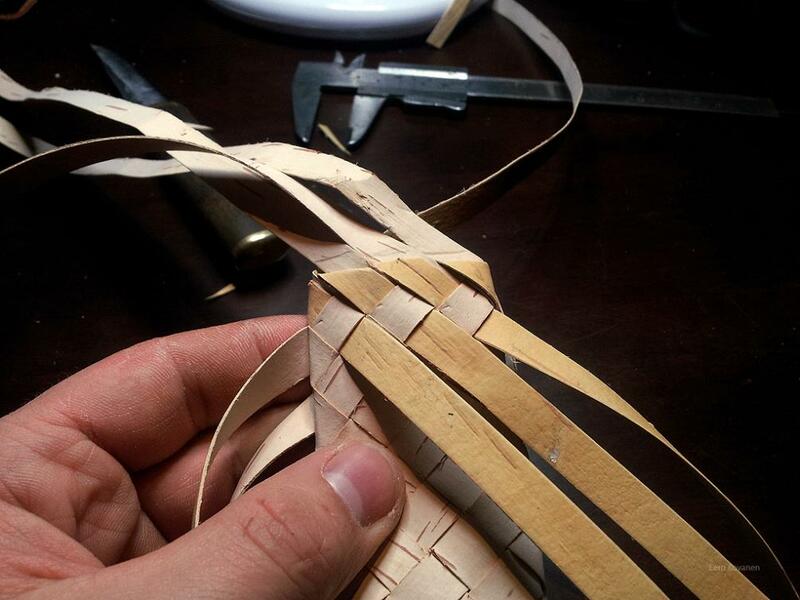 Weaving continues by folding the strip on the right towards you (1) and turning the strip behind that on the top (2). Weave the strip from behind over and under the strips going up right (3). 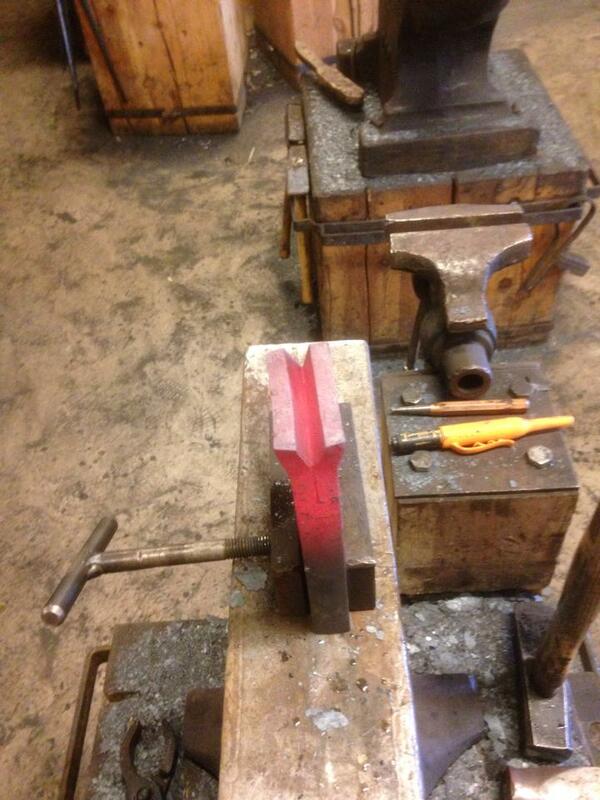 Now turn the strip that was turned towards you to the back side (4) and turn the whole work around (5). Now weave the second strip over and under (6). 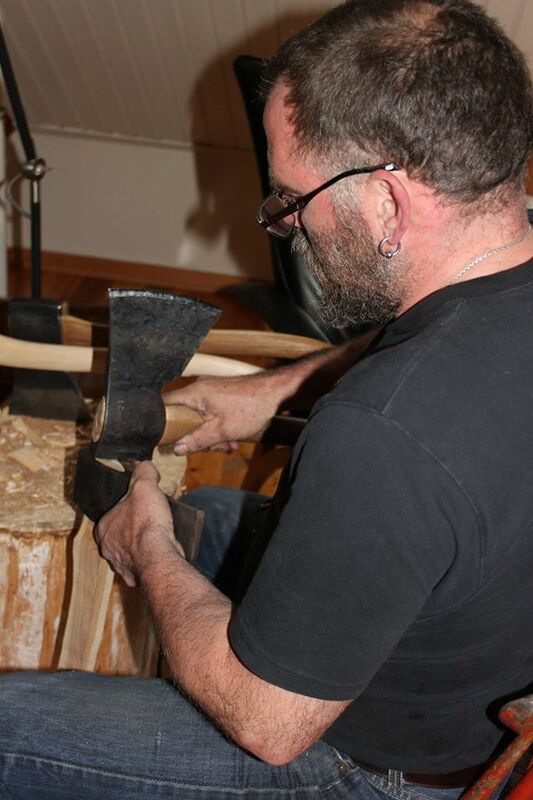 The other side is turned, do the same on the right side again (7-12). Why on the right side again? When we turned the whole work around, the side that was not worked flipped from left to the right side. As repeat, the work flow is to turn the strip on right towards you as “away” (1) and turn the strip from the backside to the top (2) and weave it on the top (3), turn the strip that was “away” to the back side (4)- flip(5) -weave the turned strip (on the left side) to the top (6), turn the strip on the right side “away” (7) and turn the strip from the back side to the top (8) and weave (9), turn the strip that was ” away” to the back side (10)- flip (11) -and weave the turned strip to the top (on the left side) (12). That is one round, now there is turning on the both sides. 15. 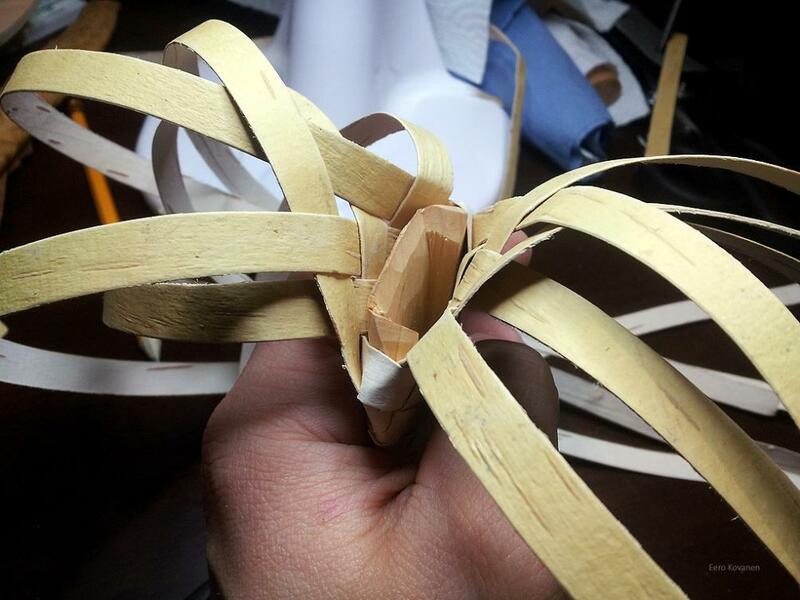 Folding the edge, step by step. 16. Continuing after one whole round. 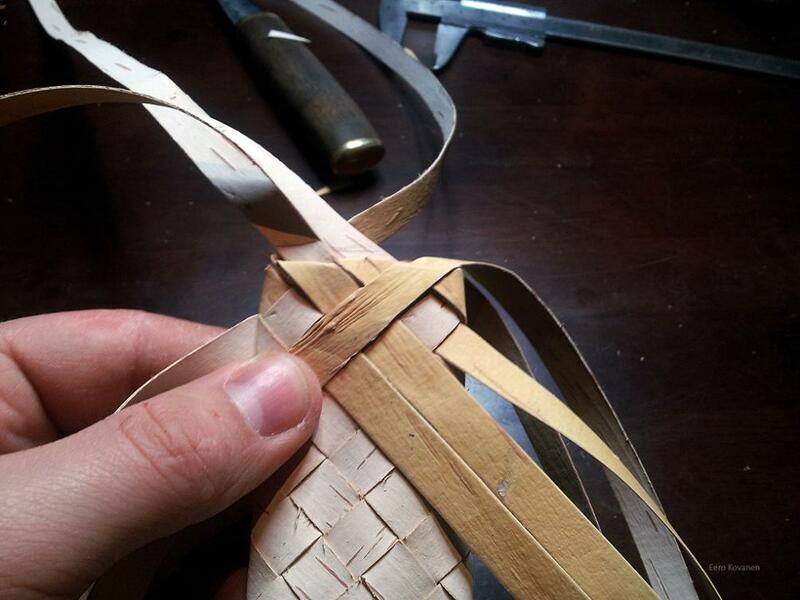 Keep weaving as long as you reach the length of the sheath liner. Try how the sheath liner fits in, if needed you can take some material off the sheath liner so that it fits tightly to the sheath. 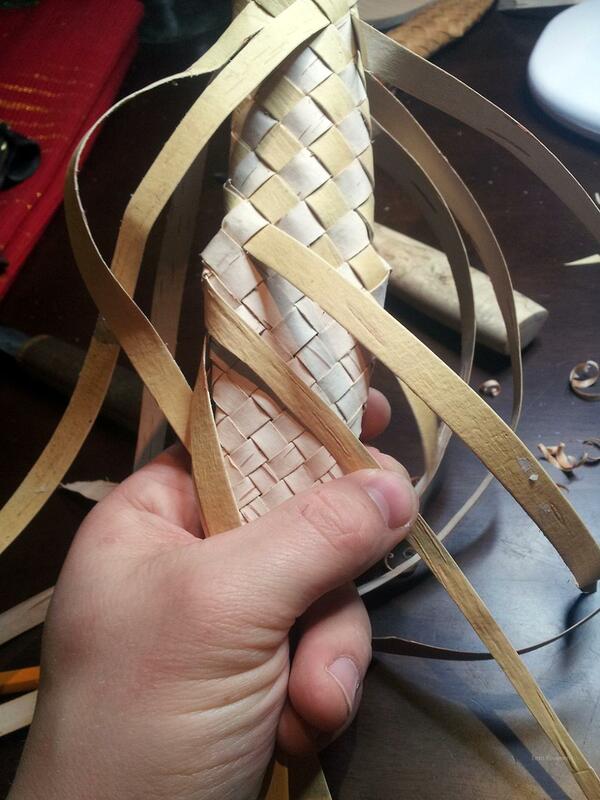 Note that when you’re weaving the sheath, the sheath is straight. When you fit in the sheath liner, the sheath liner will make the sheath curve according to the shape of the sheath liner. 17. 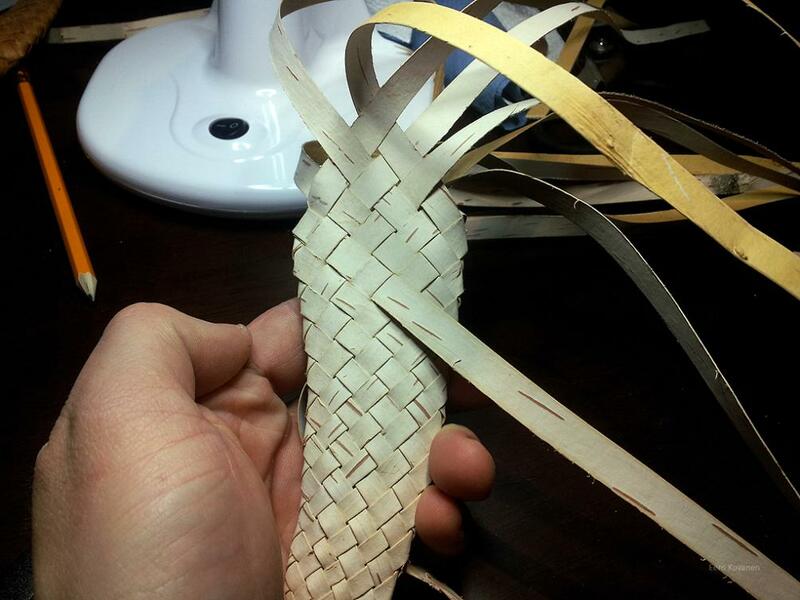 The length of the narrowed part of the strip is woven, it is approximately the same length as the sheath liner. 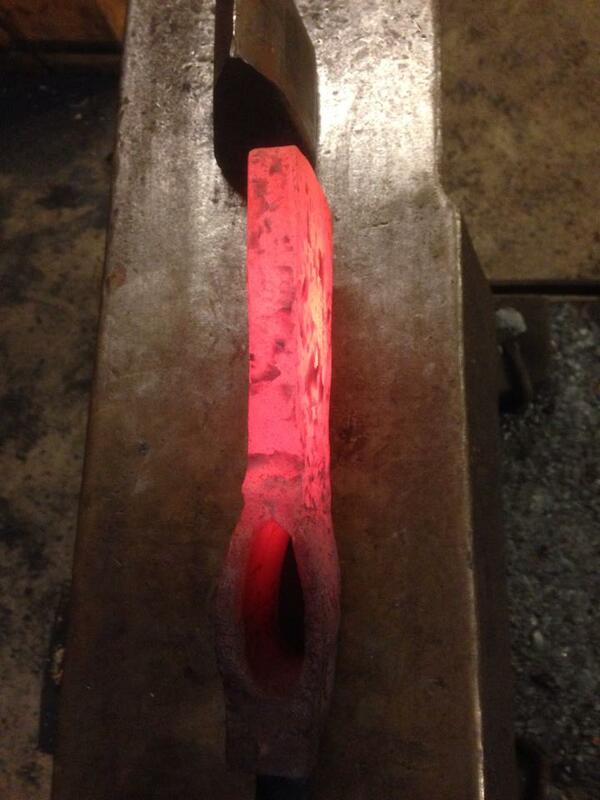 Still at this point the sheath is straight. 18. Fit the sheath liner inside the sheath. 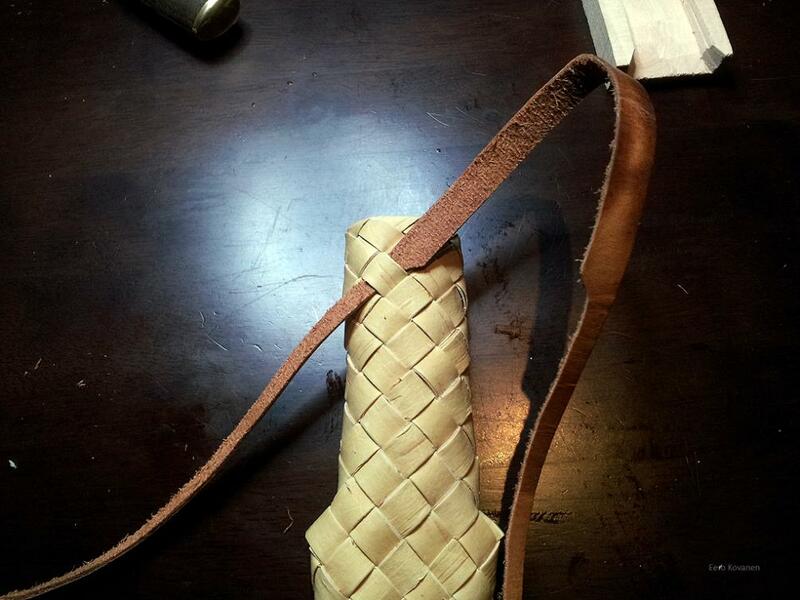 When the sheath liner fits in and the twine is over the sheath liners length, it’s time to make the shoulders. Try to make the shoulder as close to the sheath liners edge as possible. When the shoulder is made tight to the sheath liner it will prevent the sheath liner to move inside the sheath. Decide the point where you want shoulder to be. Cut the strip that is on the top in that square where the shoulder is planned to make (image19). 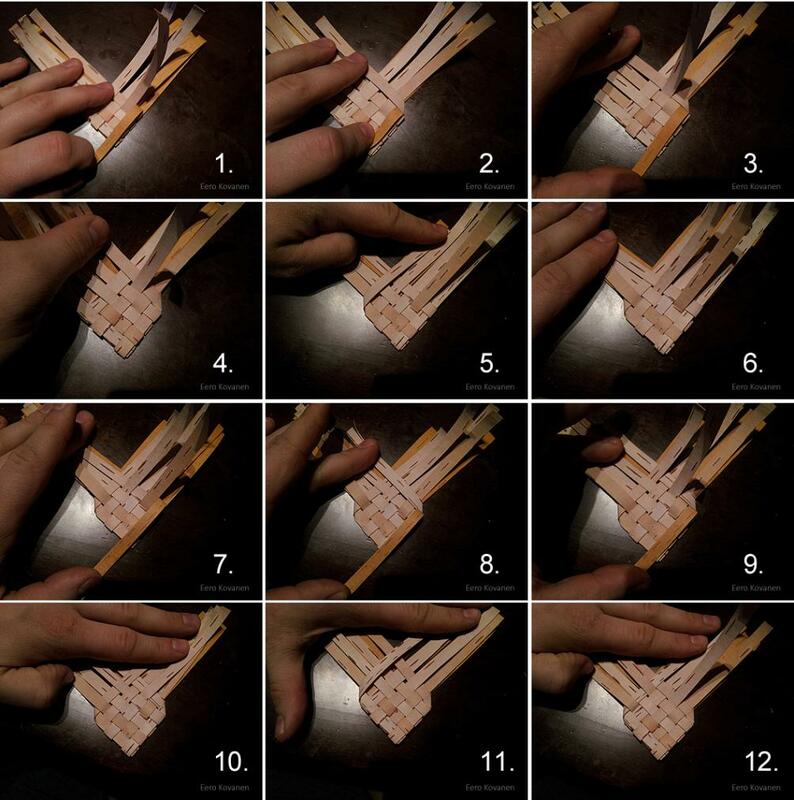 Fold the strip from behind over the end of the strip you cut (image20) and weave the end through two or three squares (image21). Cut the end of the strip and repeat on the other side. 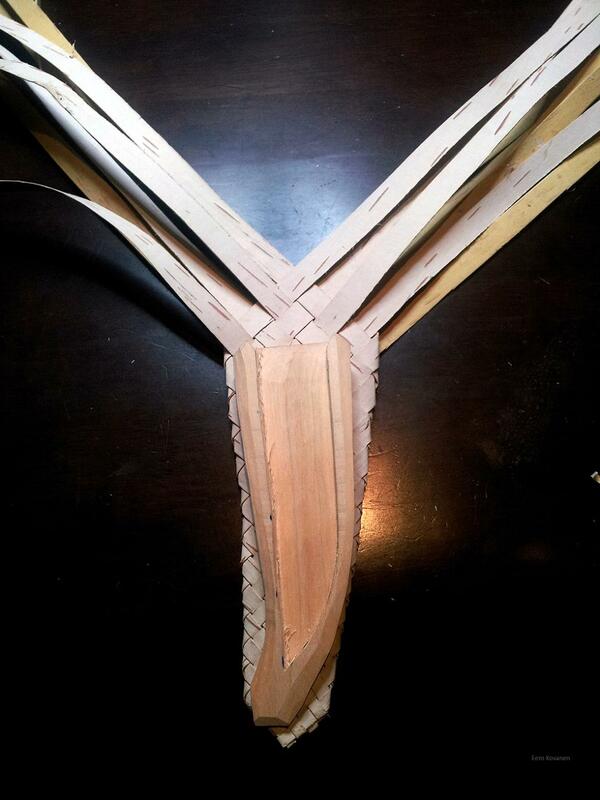 After making the shoulders continue to weave the sheath with the rest of the stripes. 19. Cut the strip that is on the top of the square. 20. 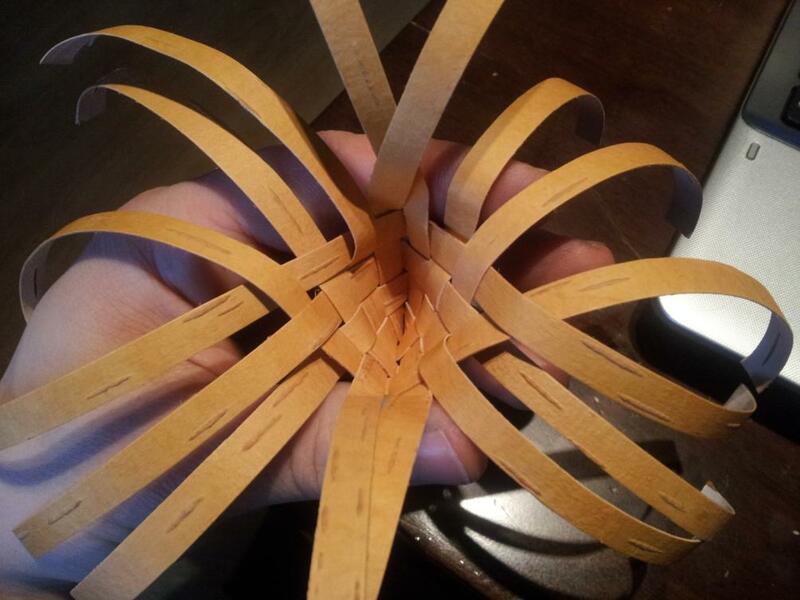 Fold the strip from the other side over the end you cut and weave over and under few squares. 21. After two or three squares, cut the end of the strip. 23. 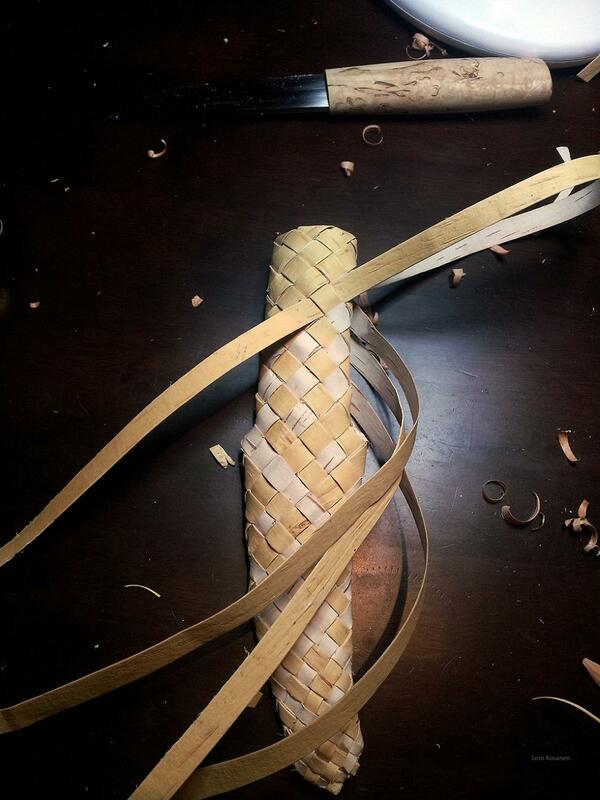 Both shoulders done and continued weaving the sheath. 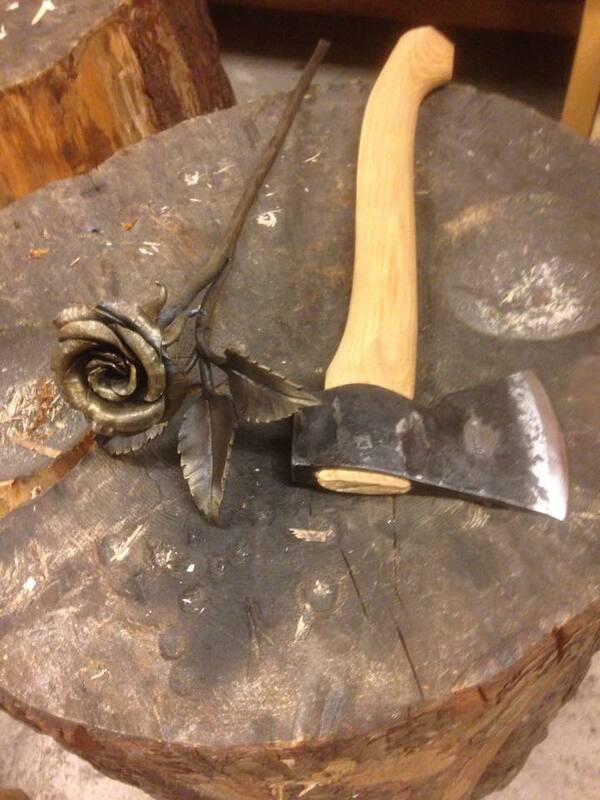 Keep weaving to the point you reach the thickest point of the handle. Weave few squares more and you have reached the edge. When we have reached the goal length it’s time to turn the edge and start making the outer surface. Mark the line where you want the edge to be. Make marks in the diagonal direction of the squares. Turn the stripes that are on the top of the squares 90 degrees down (from inside out). Do this for all 6 strips that are on the top of the marked squares. 24. Mark the line where you want to turn the edge. Mark squares on diagonal direction. 25. First turn the strips that are on the top of the square. 26. Turn the strip 90 degrees down. 27. 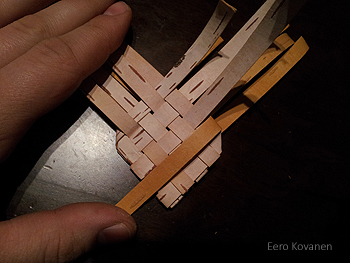 Weave the strip beneath one square and do the same thing to the next strip. When the first 6 strips are turned it is time to do the same thing for the rest 6 strips. 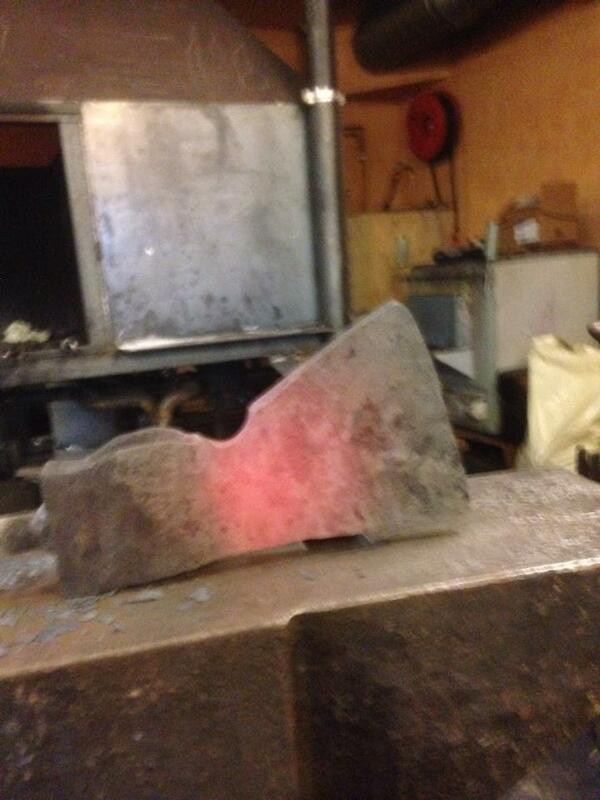 After that the edge is turned. 28. After first 6 strips turn the rest 6 strips on the other direction. Weave the turned strips all the way to the shoulder line. When you reach the point where narrowing starts (shoulder line), narrow the end of the strip to match the narrowing (image 29). Weave the strip as long as you can. 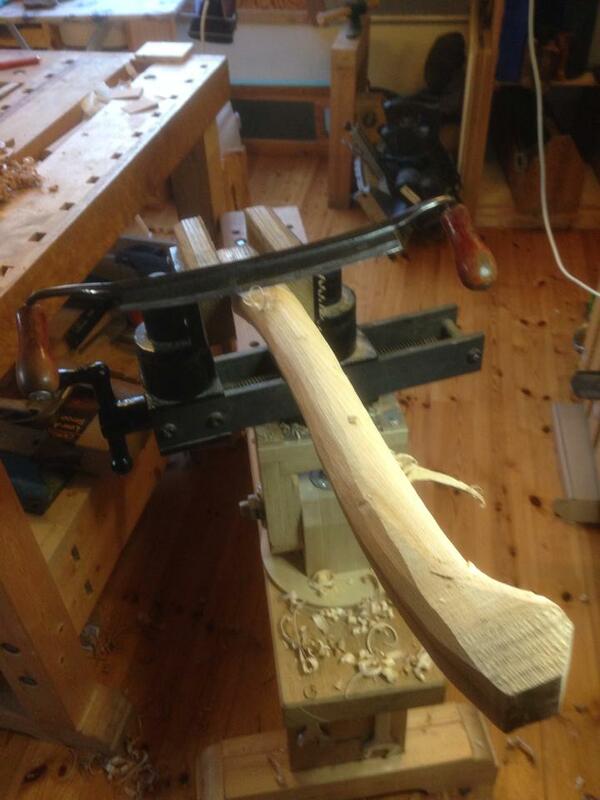 If the strip runs out before the end of the sheath cut a new strip and continue weaving where original strip ended. At the tip of the sheath weave strips over each other to finish the strip. 29. Weave the strips to the shoulder line and narrow the end of the strip to match the narrowing done before. 30. 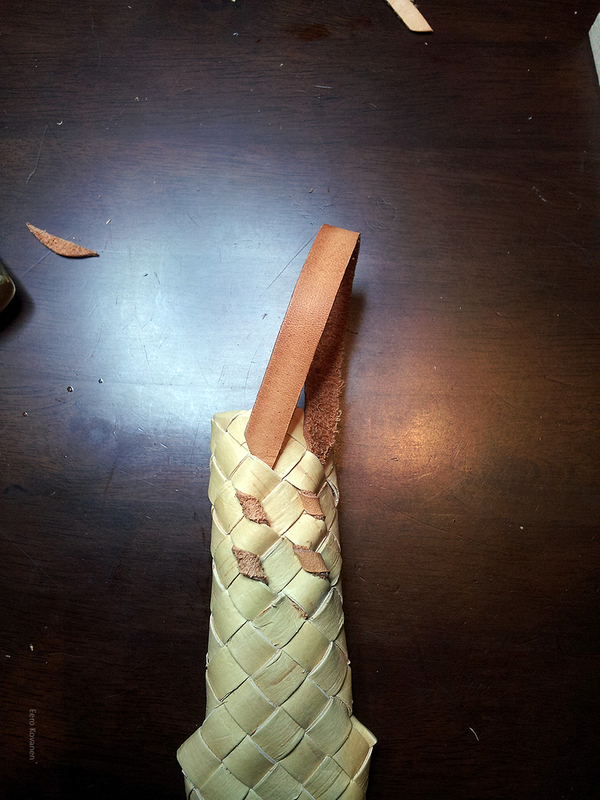 Weave the strips to the end of the sheath one by one. 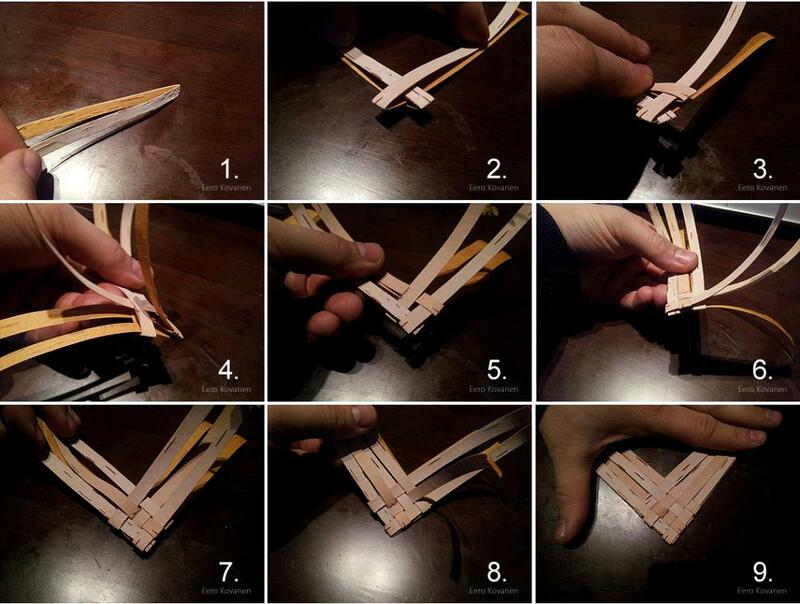 Finish the end by crossing the strips. The carrying loop is made from leather. 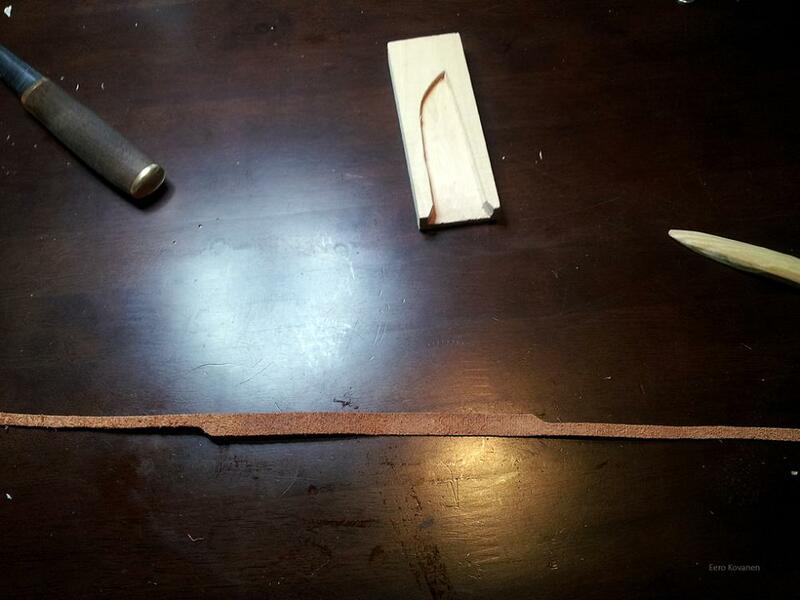 Cut a strip from leather (as wide as the strips used in sheath). 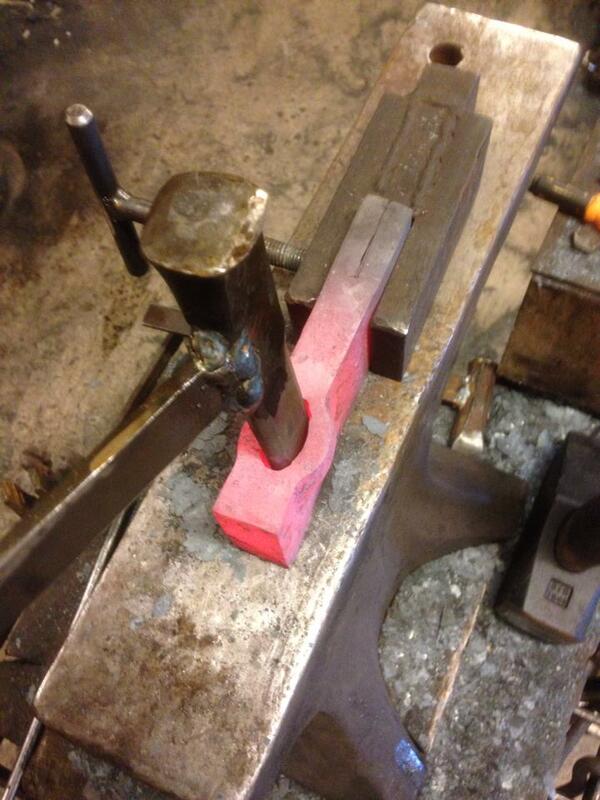 Cut the ends as in picture 31, leave about 120 mm long part in the middle. 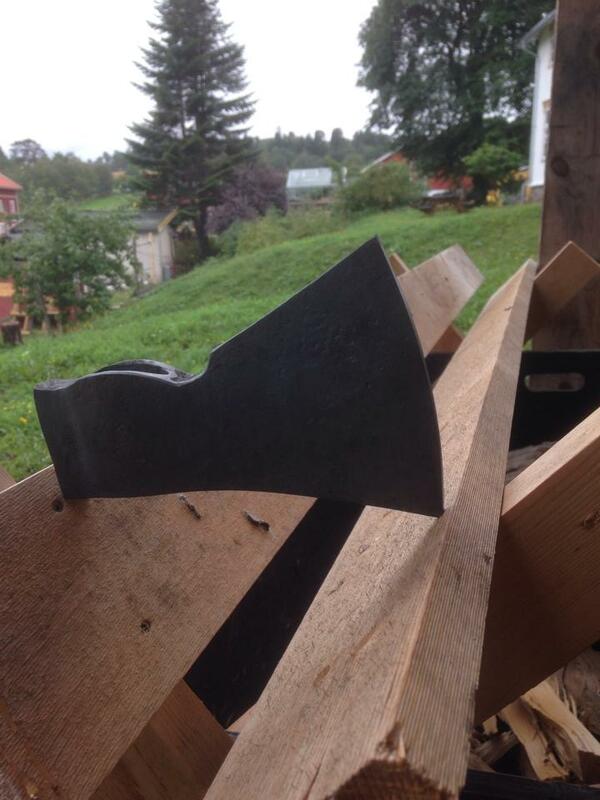 Total length of the strip is about 220mm. 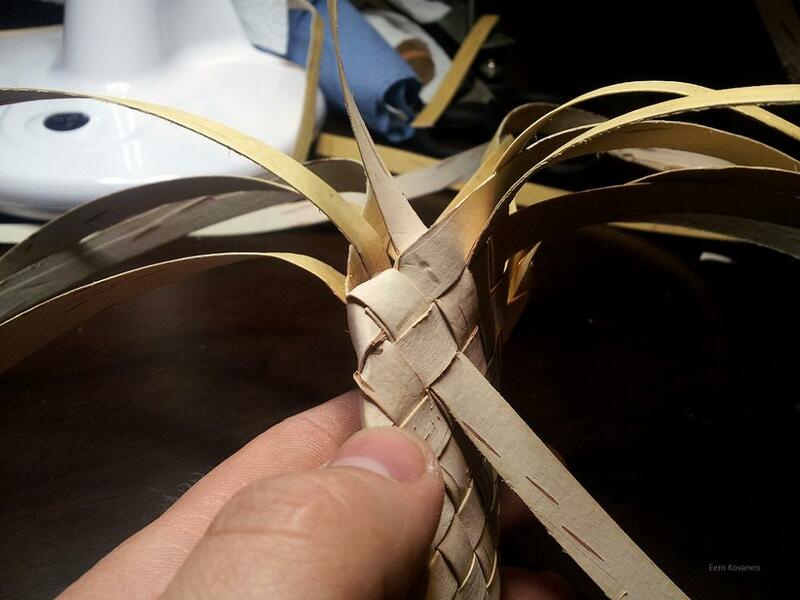 Weave the narrow parts in sheath as in image 32 and cut the end after two or three squares (image 33). Oil the leather before weaving! 31. 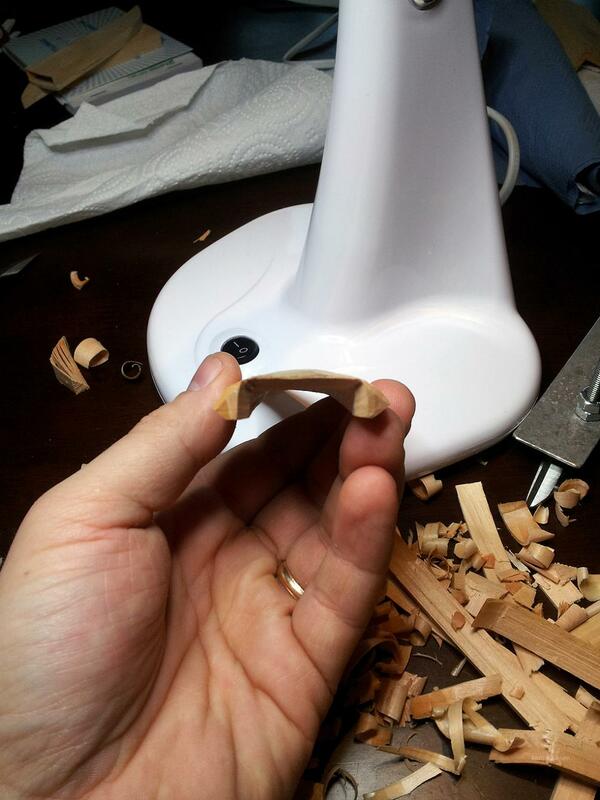 Strip for carrying loop, ends cut. 32. Start of the weaving. 33. After two squares the ends are cut. 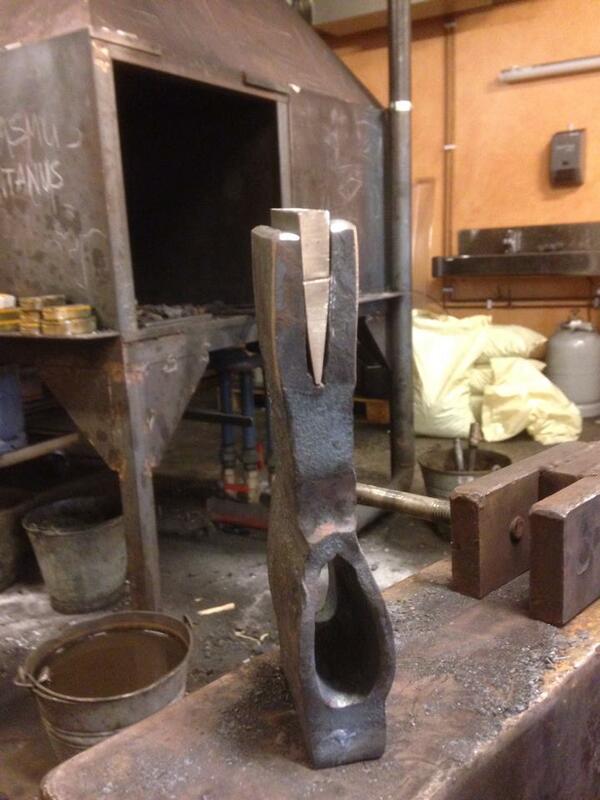 Now the sheath is done! 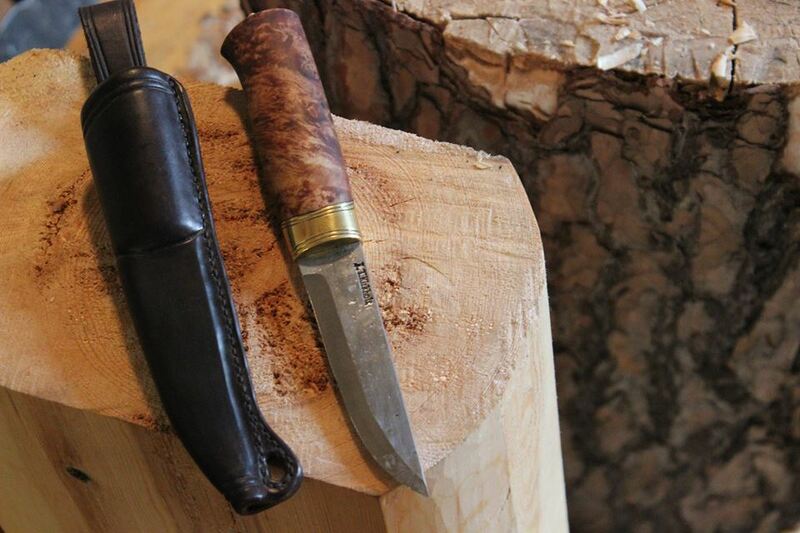 Put puukko inside the sheath and let it stay for a week. 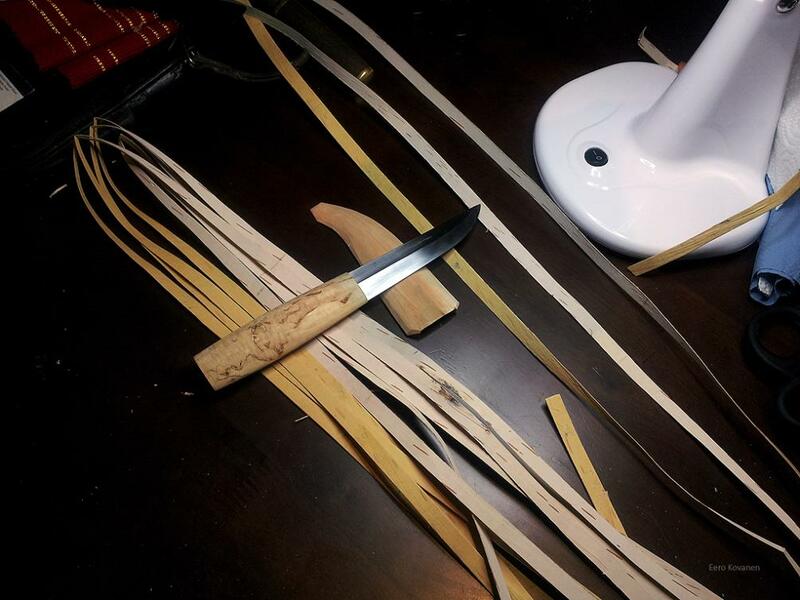 The twine is really elastic after weaving but in a week the sheath will stiffen around the puukko. 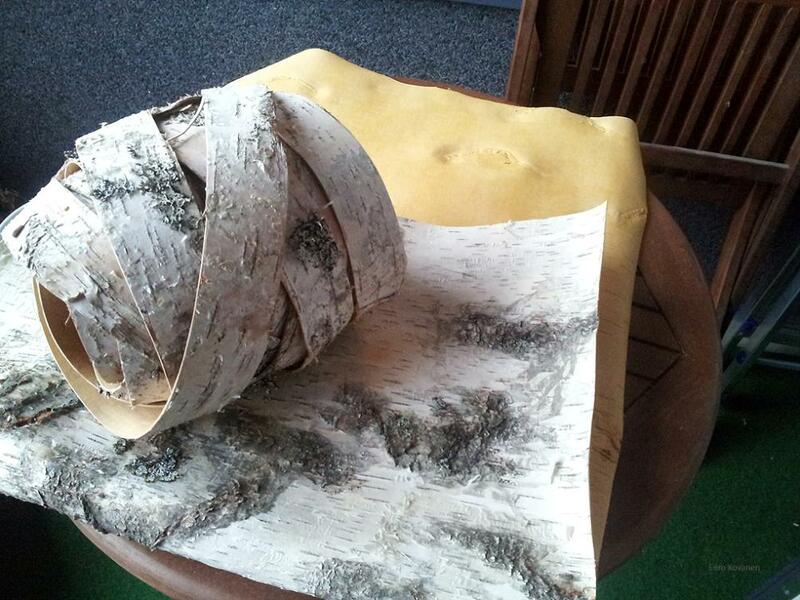 Birch bark needs no finishing. 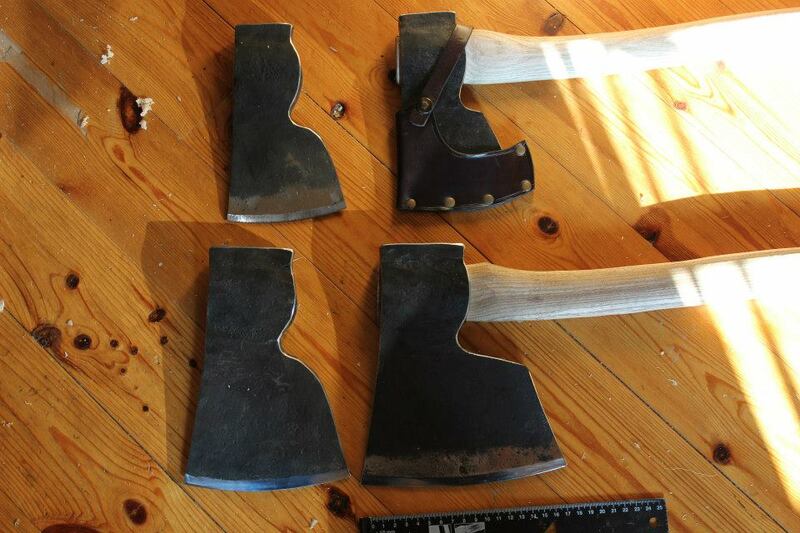 I featured some axes by Jan Tommy Kirkholt in the Christmas Gallery and I’d like to show more of his work here in a separate post. 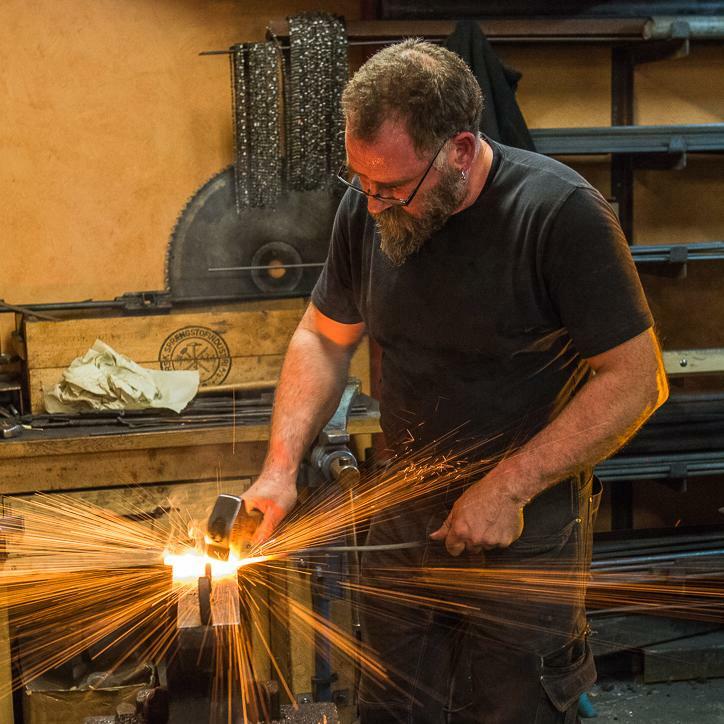 Jan Tommy Kirkholt is a smith in Trondheim, Norway who makes some beautiful axes and knives. 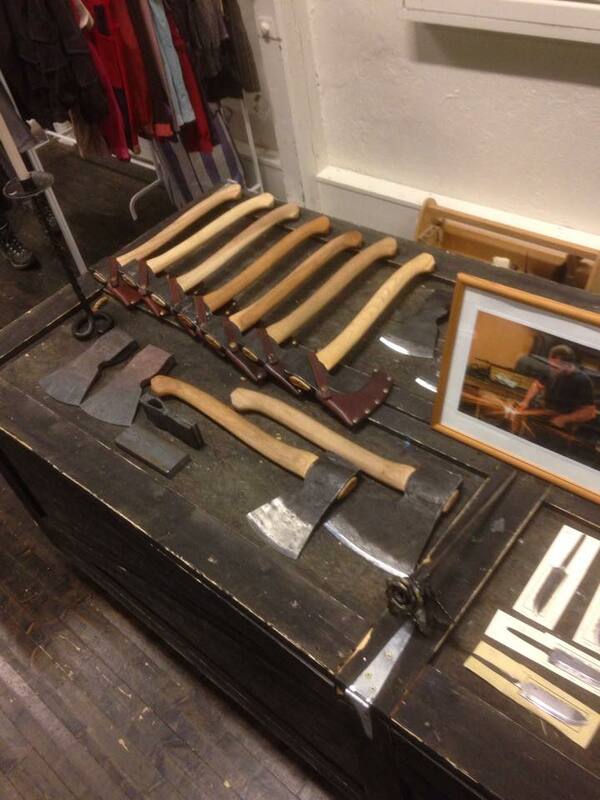 I haven’t had the pleasure of owning and using any of his tools but I hope to someday. 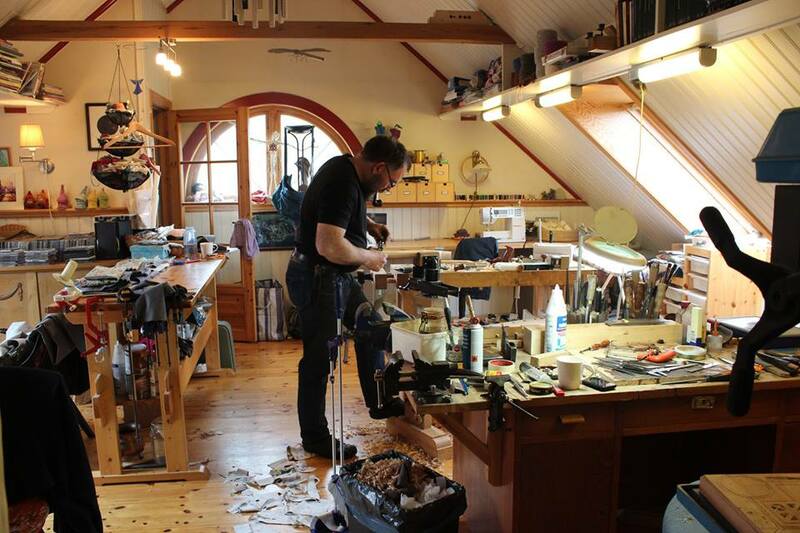 While he doesn’t have a website you can find him and contact him through his Facebook page. 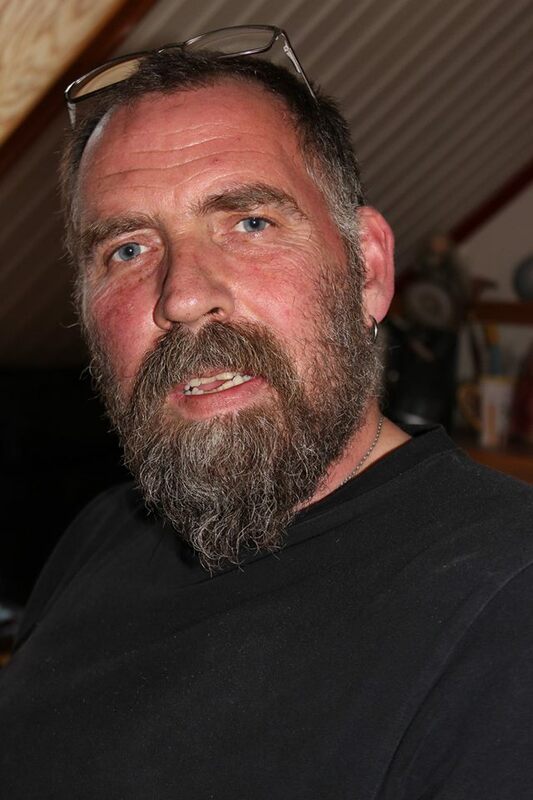 All photos are owned by and used with permission from Jan Tommy Kirkholt.